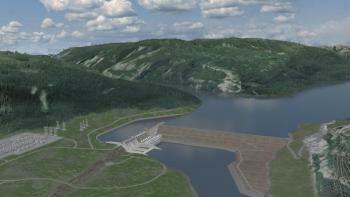 The generating station and spillways component of the Site C project will be procured through multiple contracts, including the civil works contract, hydro-mechanical equipment supply contract and powerhouse bridge crane supply contract and a balance of plant contract. Turbine-generator embedment activities (e.g. concrete placement). The scope of work will predominantly be constructed on a roller-compacted concrete buttress that is being constructed by Peace River Hydro Partners, as part of the main civil works contract. BC Hydro announces shortlist for generating station and spillways civil works.